Every year for about the last 7 years our grandkids have sold fundraisers through their schools, and on occasions, through their sports groups. This is pretty much standard practice, even from the time of my childhood. Back when I was in school the offering was limited to boxes of Chocolate Covered Almonds. When I was in Girl Guides, we sold boxes of Girl Guide Cookies. Groups today offer many different things. The schools sent out product booklets from a fundraising company called MacMillans, which offered several things from 3lb. 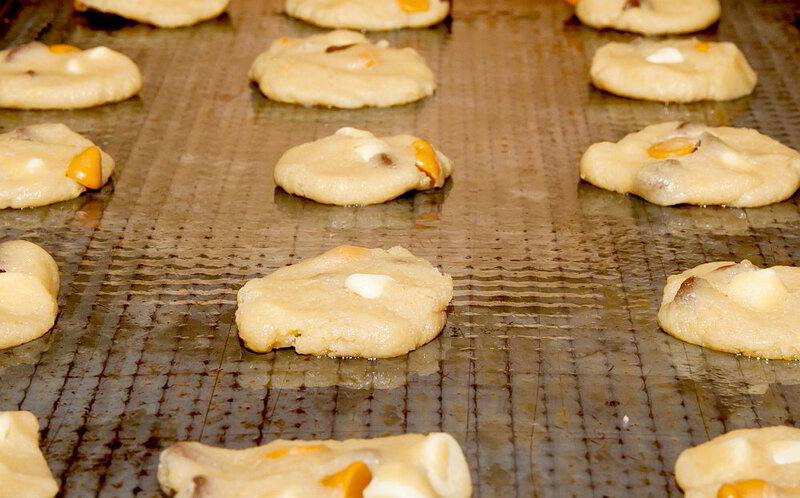 tubs of cookie and muffin dough, to pies and tarts, and several other types of baked goods, and over the years morphed out into things like pizza and pre-cooked goods. Typically I ordered several tubs of cookie dough (oatmeal, white chocolate macadamia nut, peanut butter, and sugar cookie), as well as a couple of tubs of muffin mix (bran, and banana). The tubs were $12 each, and fully of ready made dough. Basically you opened the tub, shaped the cookie dough and baked it. I usually managed to get about 6-10 dozen cookies from each tub, depending on the cookie size. These we bought year after year because you needed nothing except your oven and a cookie tray. And because most of the cookies ended up being so close to my own home recipes it saved time at Christmas (order usually came in by November). In fact, their peanut butter mix tasted exactly like my own recipe. MacMillan's provided a good product for the money - and the value of "dozens of cookies" to the cost of the dough was high enough to make those purchases worthwhile. This year, instead of the trusted MacMillans, we were presented with a small catalogue from Lamontagne. That was the first I heard of them. Because we'd never used them before I only placed orders for two types of cookies: Oatmeal Cinnamon Raisin Cookies, and White Chocolate-Chocholate Chip Cookies. I will say right up front, when these two "packages" arrived, I was ... rather disappointed. Part of that was my own fault. I didn't really pay attention when ordering them. These were not "ready made dough" but dry mixes, and they were not 3lbs, but 1lb ... and I'd paid $10 for each one. I was flabbergasted. Their online flyers show the mixes at $10 (and some at $16), but we paid $10 each, so I don't know where my mind was at when I ordered them. Making the dough up was not simple, but only because they didn't really give useful instructions. Add the butter (yeah, $10 and I had to add stuff to make them) and an egg and mix into a ball of dough. Well, that doesn't work too well when there's no actual "liquid". The butter can't be melted, but just softened. So really, to mix into the powdered cookie mix you should use a fork to blend it, or a pasty cutter, similar to what you'd do when making a pie crust. Once you've got a crumbly mixture, add the egg and work into a dough ball. However, neither of these mixes worked into dough balls without additional butter being required. 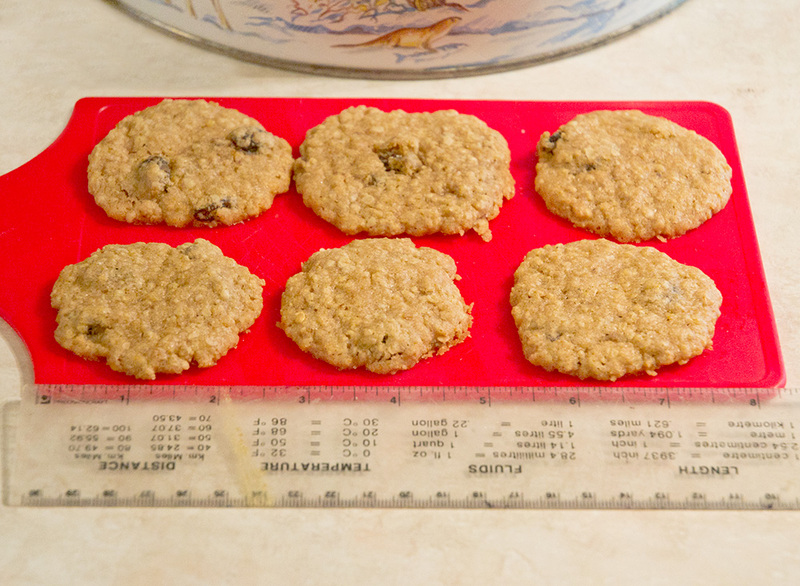 And out of that 1lb bag of mix, you are lucky if you get a full 3 dozen cookies, and that's only if you make them small. 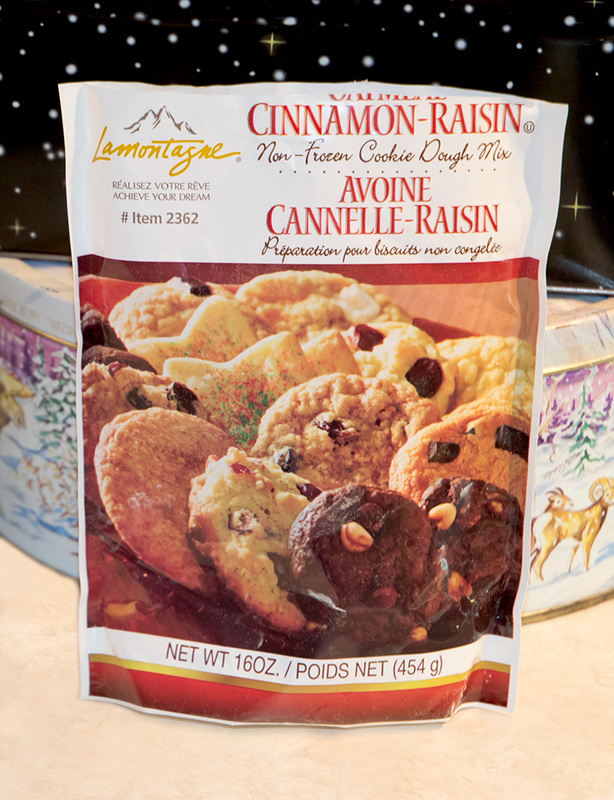 The cookies themselves were fine, but nothing spectacular - no better, and no worse than any store bought package mix. Which means they were good (tasty, like any cookie out of the oven), but not worth the money we paid. I didn't find much in the way of value with these mixes. Too few cookies, and too small a package for the $10 we paid for them (that's each, not for two packages). And not much in the way of time savings either, since I had to mix them up and provide my own butter and egg. In the end, although the cookies were good, they cost far too much. So while the product produced fine cookies, they were just too expensive. I'd have been a lot happier just donating the $20 cash to the school. If the school sends these flyers again next year, I won't be buying cookie mix. Maybe we'll try one of their already prepared products instead.